Any Which Way - 56" x 64"
We made this quilt as a mystery quilt during our Scrap Tamers Club for 2012-2013. It can be made with either a planned group of prints or as a much scrappier version using your stash. The pattern includes cutting instructions for either option. Our sample used 12 different dark red prints, 12 different light prints and a black accent fabric that contrasted with both the lights and the darks. 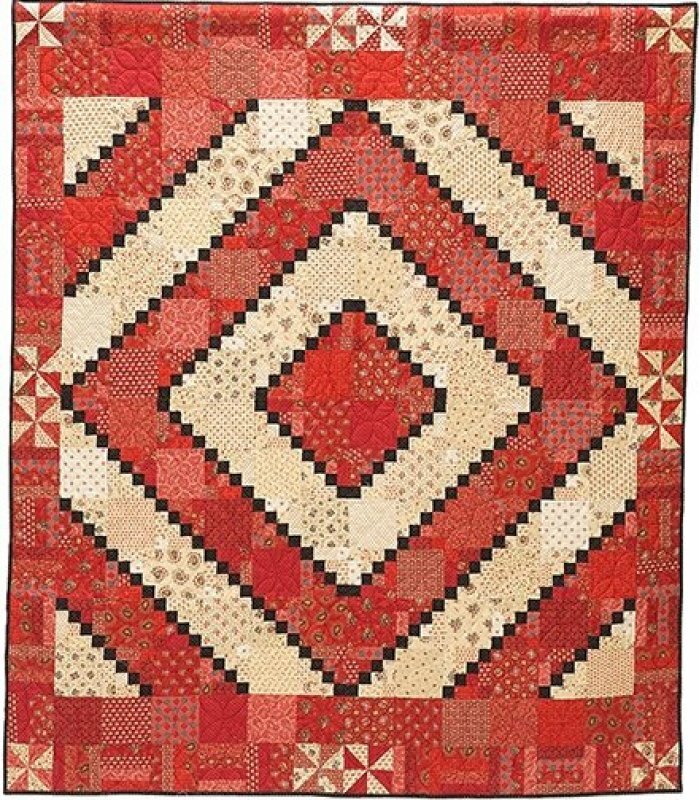 This quilt will work with a mix of colors that blend together for your darks or use a variety of prints in just 1 color. If choosing to make a 2 color quilt as in our sample, be sure to have some value and scale differences within your selection. Either way, pick a contrasting accent and a blending of light prints. Once your blocks are finished, the fun begins as you can experiment with the overall layout of the blocks.